Eckhart Tolle Quotes From His Book "Stillness Speaks"
I have posted a collection of Eckhart Tolle quotes from his book Stillness Speaks. 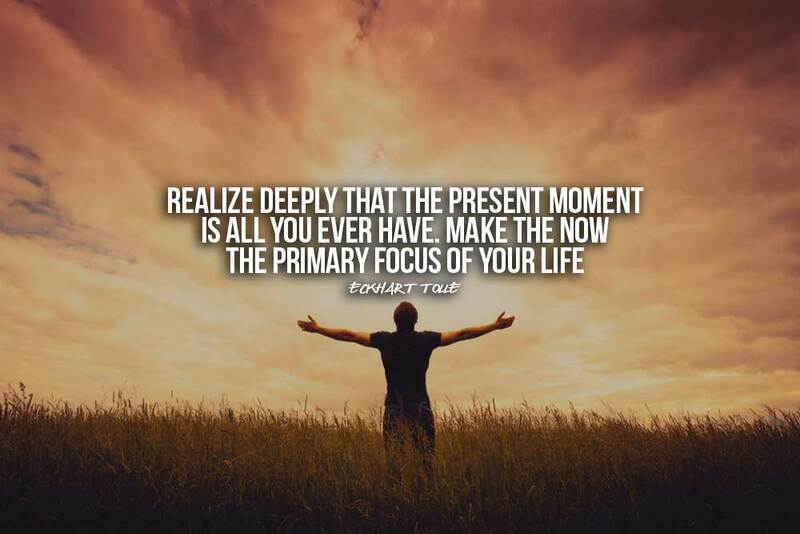 These quotes reveal his insights on stillness, the mind, the Now, acceptance and death. "The equivalent of external noise is the inner noise of thinking. The equivalent of external silence is inner stillness." "Whenever you deeply accept this moment as it is - no matter what form it takes - you are still, you are at peace." "Stillness is the only thing in this world that has no form. But then, it is not really a thing, and it is not of this world." "When you look at a tree or a human being in stillness, who is looking? Something deeper than the person. Consciousness is looking at its creation." 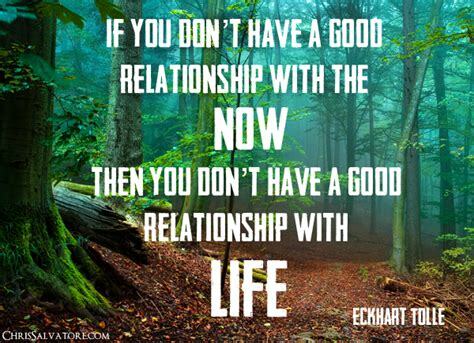 "If you don't have a good relationship with the Now, then you don't have a good relationship with life." "Whenever you are immersed in compulsive thinking, you are avoiding what is. You don't want to be where you are. Here, Now." "Spiritual awakening is awakening from the dream of thought." "The next step in human evolution is to transcend thought. This is now our urgent task. It doesn't mean not to think anymore, but simply not to be completely identified with thought, possessed by thought." "Doing one thing at a time means to be total i what you do, to give it your complete attention. This is surrendered action - empowered action." "When you say "yes" to the "isness" of life, when you accept this moment as it is, you can feel a sense of spaciousness within you that is deeply peaceful." "Surrender is surrender to this moment, not to a story through which you interpret this moment and then try to resign yourself to it." "Even within the seemingly most unacceptable and painful situation is concealed a deeper good, and within every disaster is contained the seed of grace." "Whatever you accept completely will take you to peace, including the acceptance that you cannot accept, that you are in resistance." "Naming something as bad causes an emotional contraction within you. When you let it be, without naming it enormous power is suddenly available to you." "When you are suffering, when you are unhappy, stay totally with what is Now. Unhappiness or problems cannot survive in the Now." 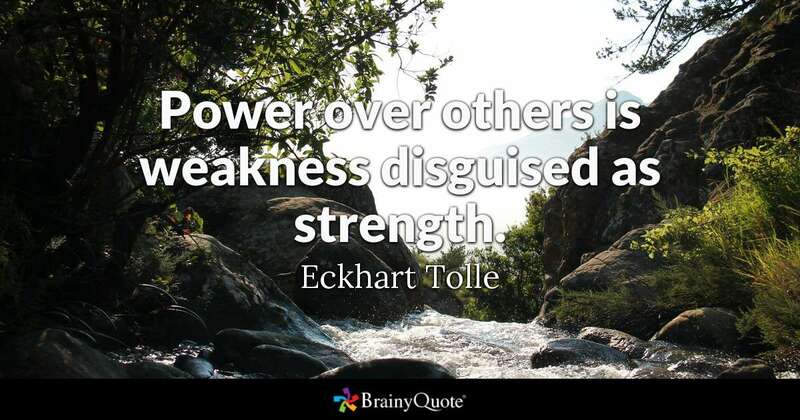 "Power over others is weakness disguised as strength." "Acknowledging the good you already have in your life is the foundation for all abundance."